The whole transcript has yet to be released, but Time has pushed out the money quote from the Mark Halperin-Mitt Romney tapes. I can tell you that over a period of four years, by virtue of the policies that we’d put in place, we’d get the unemployment rate down to 6%, and perhaps a little lower. The Huffington Post’s Sam Stein suggests (via Twitter) that Romney has made the mistake Barack Obama’s team made in early 2009. Romney reminds voters of this mistake in every other stump speech. “They told us that if Congress didn’t pass the stimulus, unemployment would rise above 8 percent,” he says. “It hasn’t been below 8 percent since!” But Romney isn’t repeating this mistake. He’s not being specific enough. Instead of predicting the effect of a particular piece of legislation, he’s ruminating generally about “the policies that we’d put in place.” It’s a reference to an agenda of tax cuts, defense spending increases, and entitlement cuts, but if any part of that doesn’t pass, he has an out. Also: Romney is saying little that the CBO hasn’t already said. 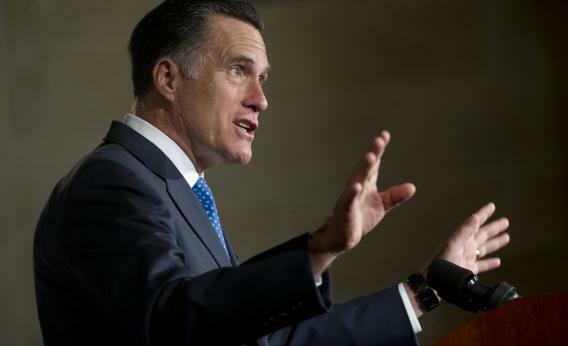 That office predicts unemployment to fall to 7 percent by 2015 – the midpoint of a theoretical Romney presidency – and fall to 5.5 percent by the end of 2017. Romney will make much worse predictions than this one.